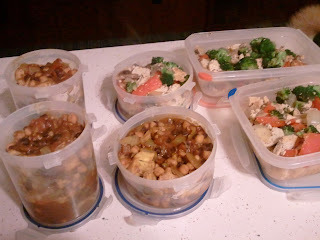 When I was strictly adhering to a South Beach diet a while back, I found a recipe for a black bean and chickpea curry that I served over chopped, microwaved cauliflower. I couldn't remember the exact recipe and didn't want to search for it, so I combined the two into a similar new dish. This is a pre-derby powerhouse, people. 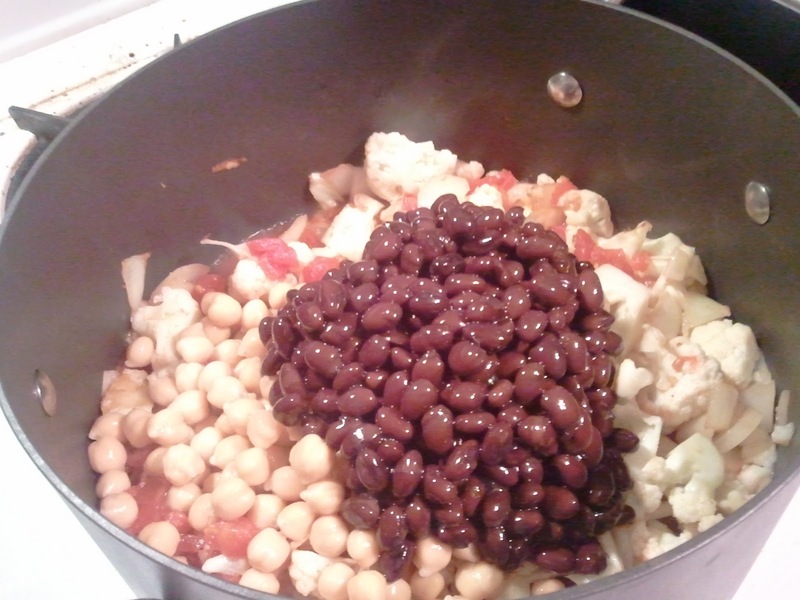 Drain a can of plain black beans and a can of chickpeas (also sold as garbanzo beans). I don't rinse, but you can. Also open up a can of diced plain tomatoes. Dump these all into the pot. Stir and add curry to your liking. This could be seasoned other ways, but I love my Penzey's Majarajah Curry blend. Cook this over medium heat, stirring occasionally, until the cauliflower is softened. I made this on a late-evening cooking spree when I wasn't even hungry, so I portioned it out into three huge meals to eat later. The other meals on the right—also made during this cooking spree—are basically this easy tofu dinner with some extra veggies and no soy sauce. 1. 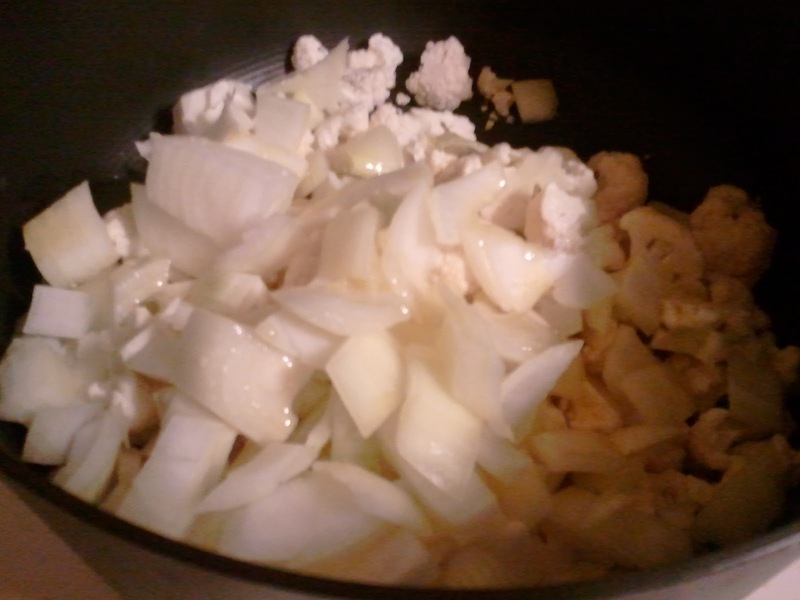 Soften onion and cauliflower in a pan over medium heat. 2. Add the black beans, garbanzo beans and diced tomatoes. Season with curry powder to taste. 3. 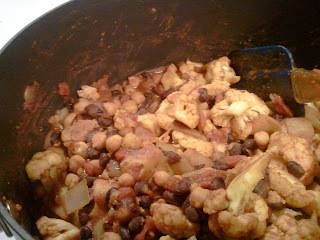 Cook uncovered over medium heat until cauliflower is softened, about 20 minutes. 4. Serve over rice if desired. I find it is my duty to inform you that I cooked this tonight and it was AMAZING. And quick and easy. Cook it Kelly-style (on high heat, prepping and adding each subsequent ingredient at warp speed) for optimal results.